Giorgia Angiuli is super-busy this Autumn! Gracefully relentless, she managed to release two great EP’s within the space of a few weeks. By the end of October, “Around The Space EP” made its way thanks to the well revered Systematic record label (one of the label main character, Marc Romboy, also offered a remix treatment). 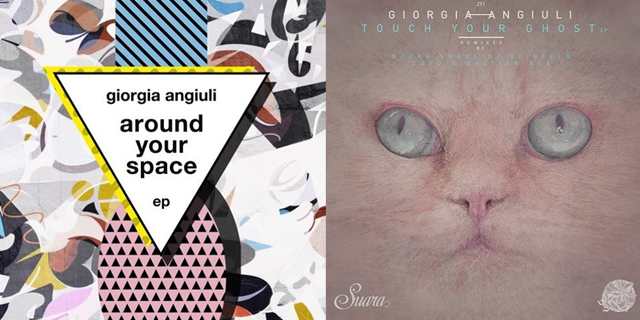 Just a couple of weeks later, through the Suara record label, a slightly different side – more mellow, chilled, relaxed, meditative – of Giorgia saw the light. It’s the “I Touch Your Ghost EP” and yes, it’s brilliant. Giants such as Booka Shade and Dj Seinfeld provided their twist to the tracks – what a treat! We warmly recommend it.